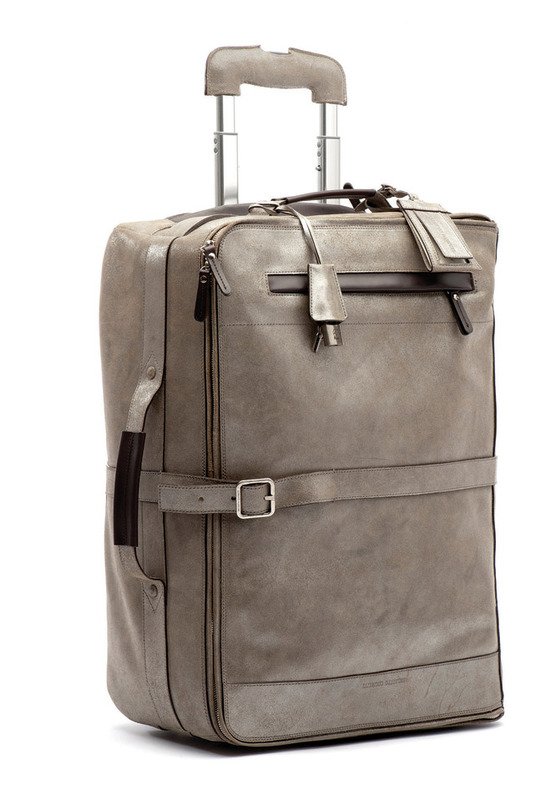 A metallic calfskin trolley suitcase could lead to a holiday abroad. $4,315 at Brunello Cucinelli, Beverly Hills, 310- 724-8118. 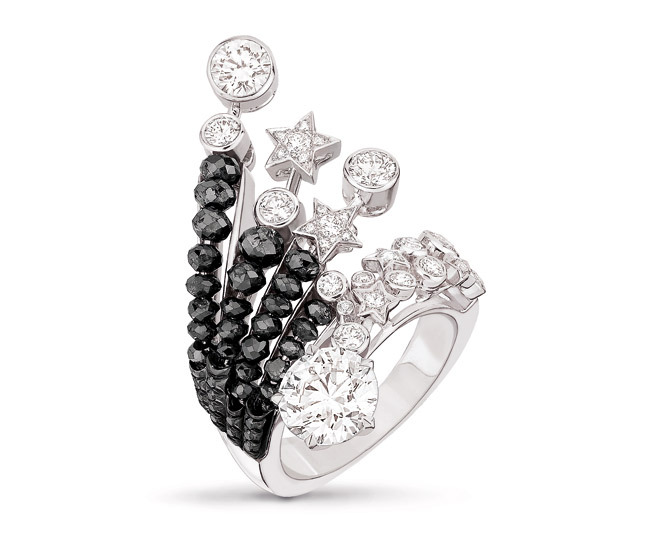 Coco Chanel designed her first fine jewelry collection 80 years ago. 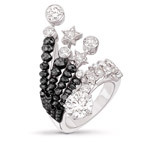 To celebrate the anniversary, the fashion house has launched its “1932 High Jewelry” collection of stun-ners, which includes this 18K white gold ring set with black and white diamonds. Price on request, 800-550-0005. 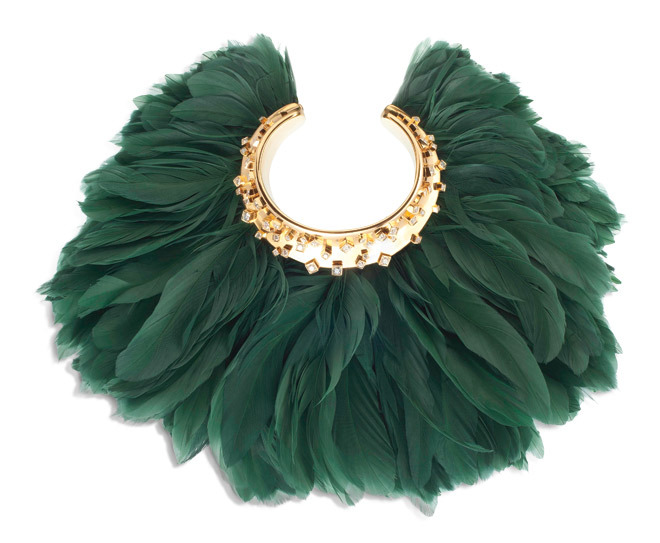 The rhodium-plated gold cuff (inlaid with eight-carat diamonds) flaunts feathers that were hand dyed at a Paris atelier. Cuff, $168,000 at Maxfield, West Hollywood, 310-274-8800. 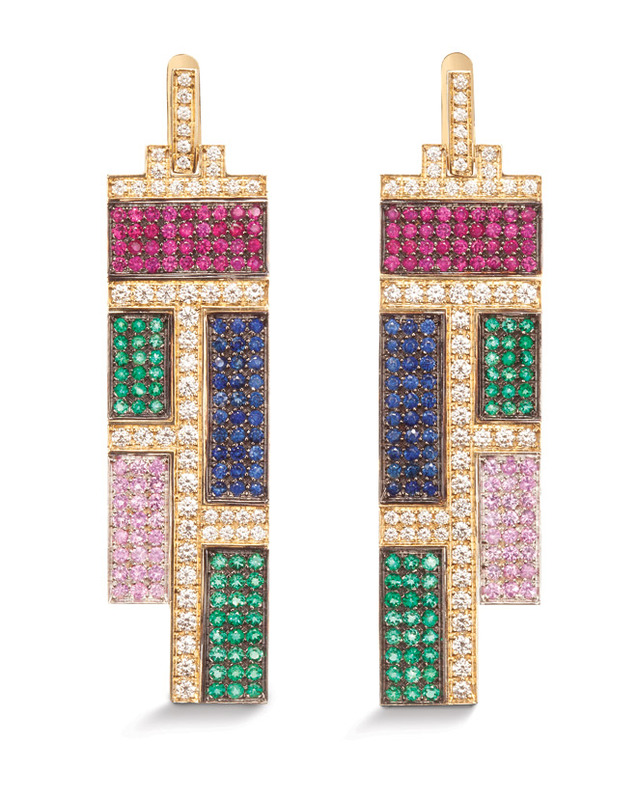 Rosado’s ruby, emerald, and sapphire earrings (6), which are part Warhol, part Mondrian. Ear-rings, $25,000, at Maxfield, West Hollywood, 310-274-8800. Play to his inner Hef and indulge him with an embroidered silk dressing gown. $1,215 at mrporter.com. 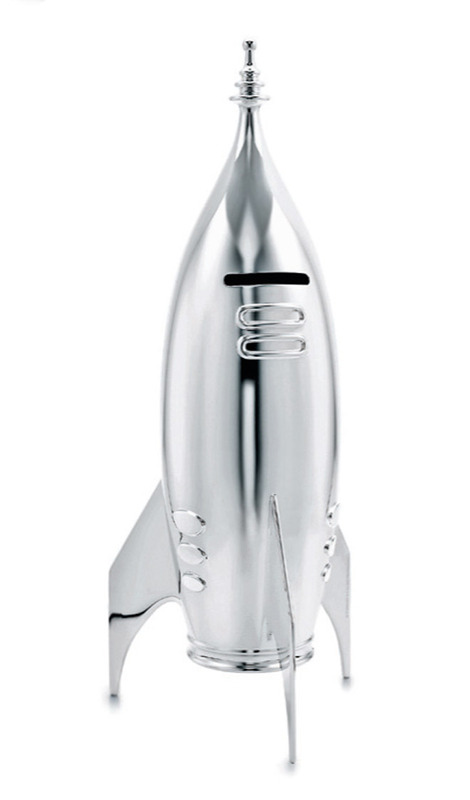 Skip the silver spoon and spring for a piggy bank- in the shape of a rocket ship. $2,250 at Tiffany & Co., Beverly Center, 310-657-0016. 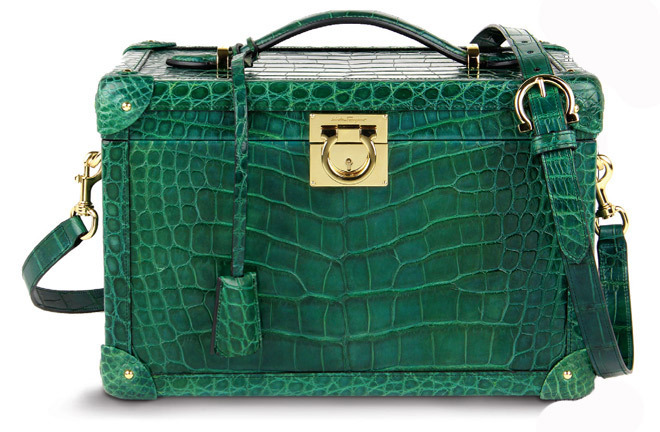 Green is for the envy this crocodile vanity case will induce. $31,500 at Salvatore Ferragamo, Beverly Hills, 310-273-9990. Inspired by ’70s race car dashboards, the “Tambour” marks ten years of watchmaking for Louis Vuitton. $9,250 at Louis Vuitton, Beverly Center, 310-360-1506.